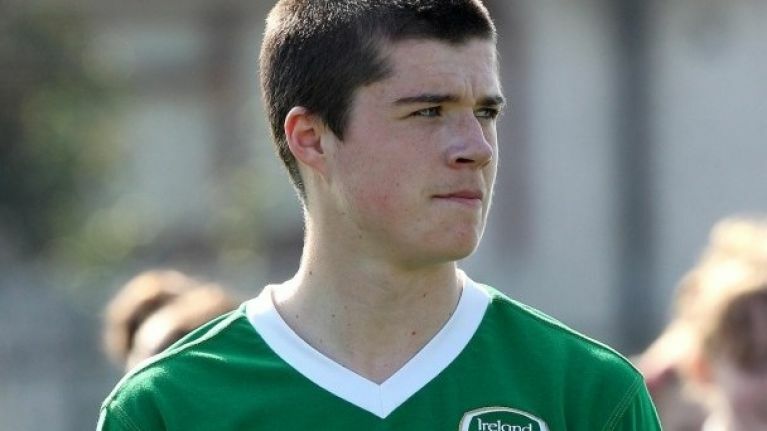 Liverpool have won the race to sign 15-year-old Irish starlet Alex O'Hanlon from St Kevin’s Boys club, despite the advances of Chelsea and Real Madrid. The promising left-back, who has been likened to Tottenham's Gareth Bale, had spent time at both Chelsea and Real, while having apparently turned down offers from Manchester United and Arsenal. St Kevin's have been quick today to refute suggestions that the deal cost Liverpool £2m but it is understood that the club will receive compensation in accordance with UEFA rules. The famed club has previously produced storied Irish internationals such as Liam Brady and Damien Duff. “He is very highly thought of. He’s an excellent full-back and hopefully he might turn out like Gareth Bale," said St Kevin's club secretary Brendan Bermingham on the deal. Liverpool news site Koptalk report a source as saying that O'Hanlon "chose Liverpool because he wanted to work under Dalglish and because the club felt more right than any of the others". "Liverpool showed him and his family the most respect. He's come here because he believes Liverpool are a massive club on the verge of great things," added the source. The club's acquisition re-inforces director of football Damien Comolli's remit to blood the best young talent for the Anfield side following new owners Fenway Sports Group directives, while Kenny Dalglish has also made a conscious effort to start youngsters in hotly-contested recent Premier League ties.